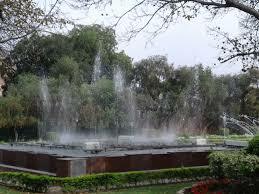 Dudh Talai Musical Garden also known as Pandit Deendayal Upadhyay park, is a magnificent rock garden in Duddhtalaii. It is manage by Urban Development Trust, Udaipur. visitors love the sunset and scenic view of Lake Pichola. This garden is the perfect example of modern architecture. From Dudh Talai Musical Garden, one can see the picturesque view of Jag Mandir, Lake Pichola, City Palace and Udaipur city. Its major attraction is its musical fountain which is first of its kind in Rajasthan. It increases garden beauty manifold. From this hilly garden, the sunset point that lies far beyond the Aravalli Mountains is visible. DudhTalai Musical Garden is really beautiful and well-maintained. It is superb rock garden in Dudhtalai built by Urban Development Trust of Udaipur. Also, one can witness stunning views of sunset and dazzling views of Pichola Lake. The views are so romantic and mesmerizing that tourists does not remain untouched. This musical fountain is one of the main attractions in Dudhtalai as it is first musical fountain in Rajasthan. The fountain adds charisma to this beautiful garden. The scenes from Sunset point placed at the Aravalli hills are also spectacular. Most of the tourists come here to capture the wonderful views of sunset in their hearts and cameras. 08:00 am - 10:00 pm. Dudh Talai Musical Garden is located on the shore of Lake Pichola of Udaipur city. One can easily reach here with rickshaw, local taxi, local bus or cab.